South Dakota is one of the states popular with fulltime RVers. 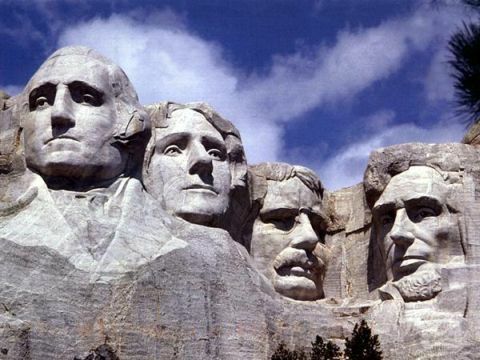 Not so much for making visits there, but with no state income tax and low fees on vehicle registrations, some fulltimers make the Mount Rushmore State their legal domicile. Now, according to a local paper, state authorities are asking questions that are making some RVers uncomfortable. Apparently this information swapping has already started. Witness a 2007 information exchange between Nebraska, Iowa, and South Dakota. Comparing Nebraska driver license data to South Dakota and Iowa motor vehicle registrations yielded some 13,000 matches–8,000 alone from South Dakota. Nebraska’s DMV was not pleased, figuring the crossovers cost Nebraska plenty of tax money. But it’s one thing for neighboring state residents to try and cheat on taxes; the issue for full time RVers is a whole different matter. It’s often held fulltimers can choose any state they want to call “home,” from a legal perspective. South Dakota doesn’t disagree with that, but the requirements to ‘prove up’ your domicile status can be a bit of a pinch. While “nomads” as the official state jargon calls fulltimers, are welcome to register vehicles in South Dakota, those who use a mail-forwarding service address must sear out an affidavit that they have no other address outside of South Dakota. That could prove problematic for those who own a deeded RV lot in say, Texas or Arizona, but chose to only visit the place occasionally, or never touch tire there, and simply rent it out to others. Or what about the snowbird who maintains a post office box in a snowbird town for the convenience of receiving that mail forwarded from South Dakota. Lie on the affidavit and you’ll set yourself up for a possible felony charge. The issue is one that’s emotionally, and politically charged. Some point the finger at pressure put on popular fulltime domicile states by neighbors jealous of the revenues made. Others say that the increasing noose of US Homeland Security regulations are at the base of the controversy. Regardless of the cause, it must give something for those fellows up on Mount Rushmore to discuss when the subject of freedom is raised. This entry was posted on July 17, 2010 at 8:58 am and is filed under Camping Articles, In the News. You can follow any responses to this entry through the RSS 2.0 feed. I am one of those snowbirds who have South Dakota as my residence. I must take issue with some of the statements in this article. If you own a lot in Texas, it would be no different than having a house in one state and a vacation home in a second state. Alternative Resources (our mailing company) has been very proactive in meeting with public officials even to the point of having the govenor visit. The overall attitude has been one of “Why wouldn’t we want to have them here?” The real move is for people who actually live in one state full time but try to skip out on taxes by having a mail drop in a second state.